I have always been an optimistic and hopeful person. It is my fervent prayer that mankind will figure it out before it’s too late. 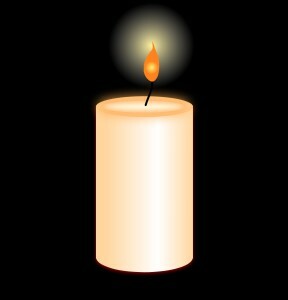 In that thought, I light a candle every night for the afflicted and our very existence. This poem has been manifesting itself for some time. The fact is, it’s been haunting me, so I finally put it to paper. It is my hope that others will hear the message that it conveys in my humble voice. Tears fall freely in sorrow. He questions – Will there be no end? Will the suffering of the innocent continue? Has compassion and understanding been lost? There is mourning for all harm done in His name. Tears of sadness fall freely. 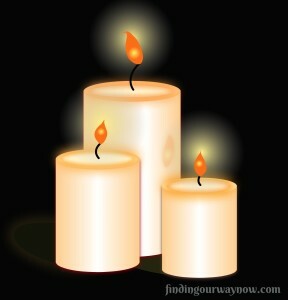 A father grieves, loved ones are lost. Giving comfort – freedom from fear, freedom from pain. Hope lies with the Almighty for many. Not for those who cause pain in His name. Tears of pain fall freely. Do they not see the light beckon? Tears of sorrow fall freely. The light shows the way for those who can see. For those who choose to see. As His heart breaks with grief. As I light my daily candle, I ask these questions. Do you grieve for all that is going on in the world? Do you worry about our world and where we’re headed? Do you see hope? If you enjoyed “Tears Fall Freely,” check out Color Fades, The Gloaming, and Ending Beginning.